Mr. Tilghman was born Nov. 16, 1923, in Washington, D.C., the son of the late George Davidson Tilghman and Monell Crist Tilghman. He attended St. Mary's Elementary School, Fishburne Academy and Pennsylvania State University. He received an architectural degree from the Catholic University of America and a second degree from its Construction Specifications Institute. He was predominantly a self-employed architect in the Washington, D.C., northern Virginia and Maryland areas. He was one of only 3 men of his crew who survived their 29 May 1945 mission over Yokohoma - their 6th mission. 8 men made it out of the crippled B-29. One man was so badly injured a rope was tied to his ripcord but his chute never opened and he was never seen again. Fred Dunn, was picked up first. George and crewmate Joseph P. Miller spent over 30 hours in the vast pacific before they were rescued. They had learned that a Japanese boat had been sunk between Tilghman and Miller's position in the water - they surmized that the other 4 men who had bailout may have been aboard the Japanese boat. George was the last living member of his crew. He was a member of the Annapolis Yacht Club, the Annapolis Yacht Basin, the American Institute of Architects and the Maryland Historical Trust. He was president of the Construction Specification Institute and served on the Board of Governors at the Calvert Marine Museum. He also was on the architectural review committee of St. Leonard, MD, a member of St. John Vianney Catholic Church in Prince Frederick. His interests also included sailing and travel. 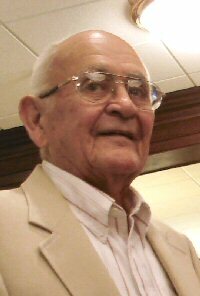 George served as Treasurer of the 39th Bomb Group (VH) Association from 1997 to present. George Crist Tilghman passed away 1 March 2006. Memorial services were held 7 March 2006. He was 82 yrs old.